The Grinch has been bestowed the gift of sour. The entire thing is adorable. 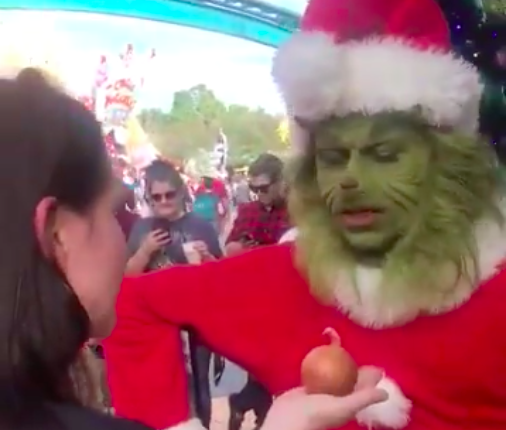 Watch as the Grinch — or the actor playing the Grinch — reacts so quickly to being bestowed the gift of sour. The Grinch’s demeanor — normally, in character grumpy, jumps to in character please. 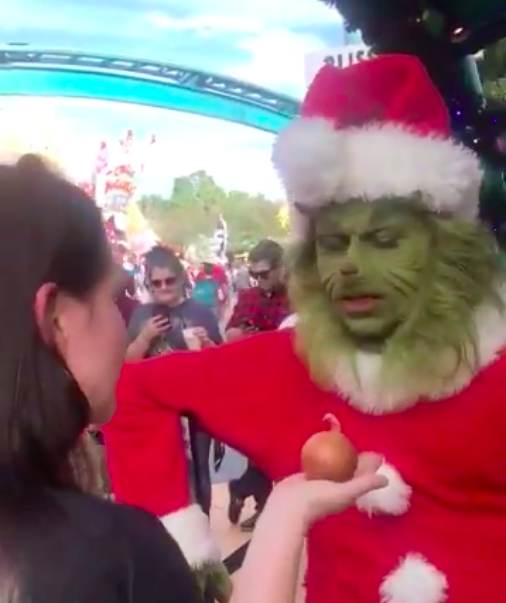 He poses with the onion, and considers taking a bite of it, before putting the bitter orb where it belongs — hanging on the gift of a Christmas Tree — a worthy plant despite the fact that it can never be used in a sandwich. All hail the Grinch, the green trash man who stole Christmas better than Jack Skellington did, in my opinion. If you want to see more videos of theme park characters connecting with human beings, check out this video of costumed characters in Disneyland connecting with a deaf child using their knowledge of ASL. And if you want another fun theme park video, I think this video of a reporter freaking out on the Guardians of the Galaxy ride should do the trick! What do you think of the indigestion the Grinch has from his near constant onion eating? Let us know in the comments or on Twitter at @WhatsTrending.